Once upon a time, there was a little sedan and coupe pairing called the Acura Integra that was born in 1986. When Acura debuted in the U.S as a brand, the Legend, a midsize luxury sedan, and the Integra, an upscale entry level compact comprised its lineup. As Acura was Honda’s luxury division with its models based off Honda’s existing models, the Integra was nothing more than a luxurious and pricier Civic. But the strange thing is that despite this, the Integra was vastly popular. With sporty handling, typical Japanese reliability, and value for the money, not to mention its huge aftermarket support, the Integra brought performance credibility to the Acura brand. The Integra was so popular with the tuning crowd that it is hard to find an Integra manual version that is not modded or “riced”. Then in 2001, the Integra coupe became the RSX coupe and the sedan was replaced by the TSX sedan in 2004.The TSX was never the direct replacement for the Integra sedan, but since it occupied the Integra sedan’s former place as the entry level compact, many have dubbed the TSX as the Integra sedan’s replacement. While the RSX and TSX did their fair share of upping the performance credibility of the Acura brand, they could not match the fame that the Integra garnered in the 1990s. The RSX was discontinued in 2006, and the TSX was redesigned for the 2009 model year. 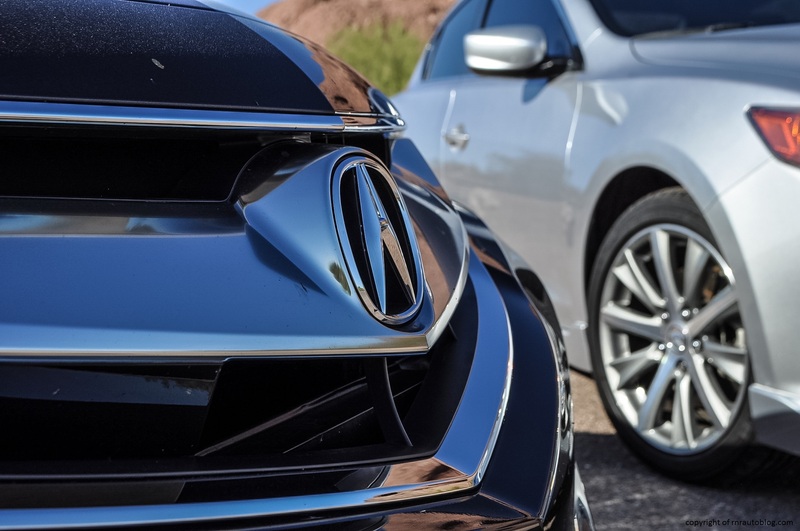 As it grew bigger in size, Acura saw fit to introduce a smaller entry level sedan to take the place of the first generation TSX and the Integra. 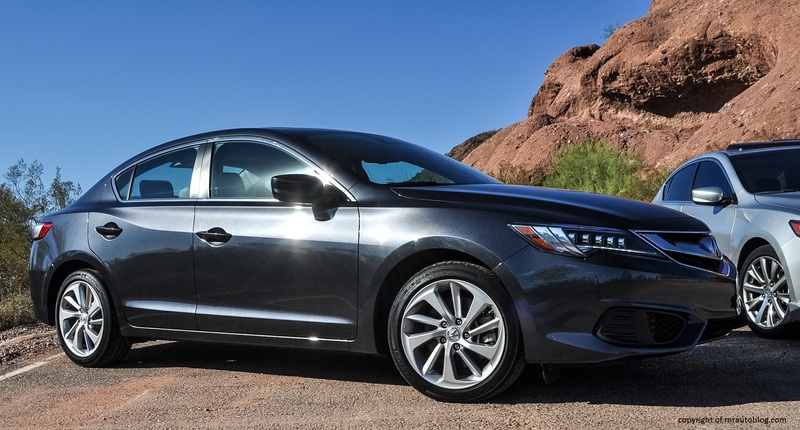 This model would be called the ILX, based off the ninth generation Honda Civic. The ILX debuted in 2012 as a 2013 model. 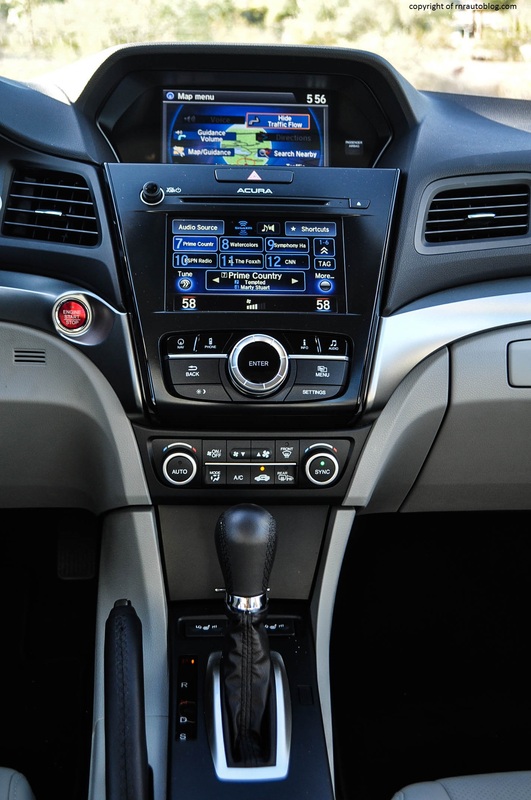 I reviewed a 2013 ILX 2.4 which comes with the Honda Civic’s Si high revving engine and a six speed manual transmission. While that was not a true Integra replacement, much to Acura enthusiasts’ dismay, I found that the ILX delivered a decent driving experience and fuel efficiency in a nice size. I will say this though, that particular ILX stickered around 35k. Thirty five thousand dollars. Granted it had about five grand in options, but that is a lot of money for a gussied up Civic. 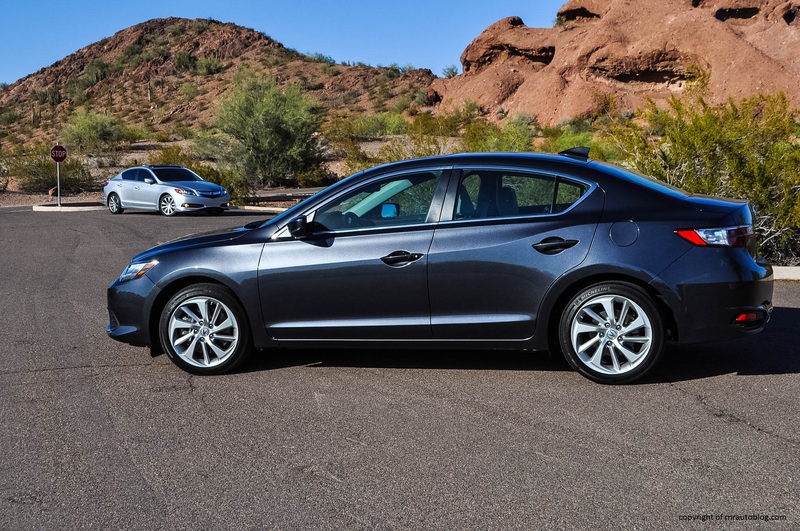 As much as I like Honda/Acura, the ILX simply is not worth that much money, and even the basic models such as the 2.0 and the Hybrid are upwards of $25,000 with slightly nicer interiors and slightly more updated equipment lists. Apparently, consumers felt the same way as sales of the ILX never really took off. 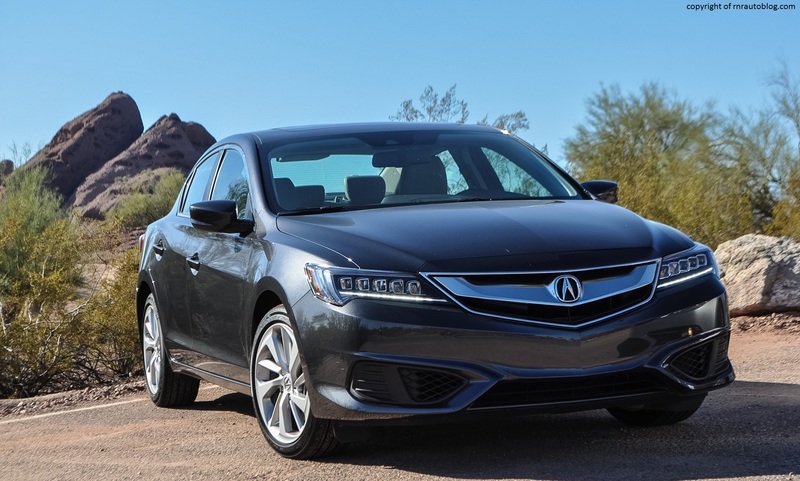 For the 2016 model year, Acura extensively refreshed the ILX, giving it a new 2.4 liter four cylinder combined with a fancy eight speed dual clutch transmission standard across the lineup. Unfortunately, the manual transmission was ditched for the refresh, but the 2016 ILX is claimed to be more like a luxury sedan and less like a Honda Civic. 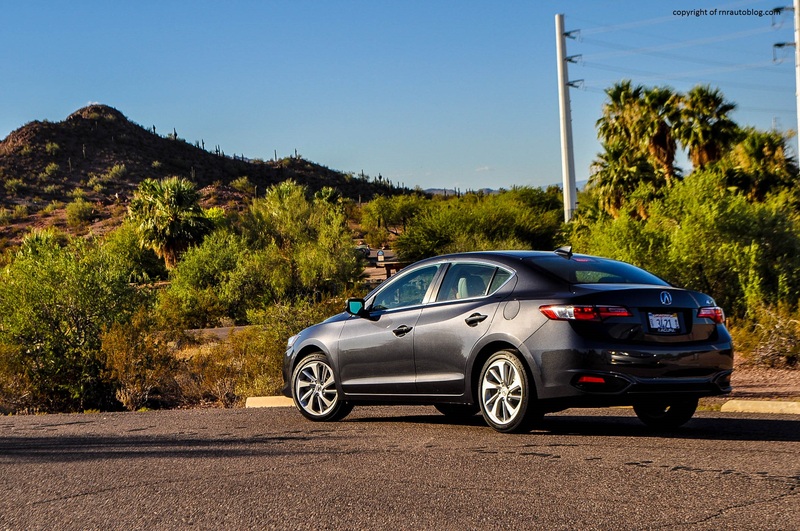 For this review, we have my friend’s aforementioned Acura ILX 2.4 6 speed on hand in addition to the 2016 ILX, so it is not like there was any bias towards the manual model or anything (sarcasm). 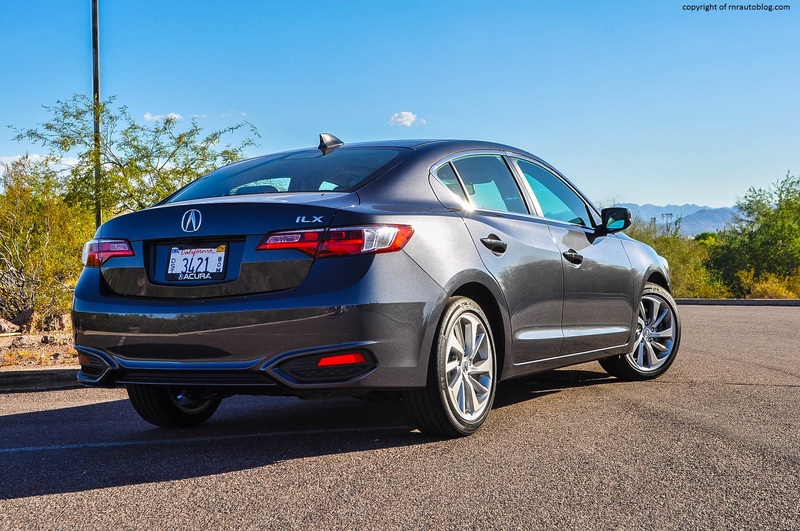 Seriously though, the question remains: Is the ILX now a proper luxury car? 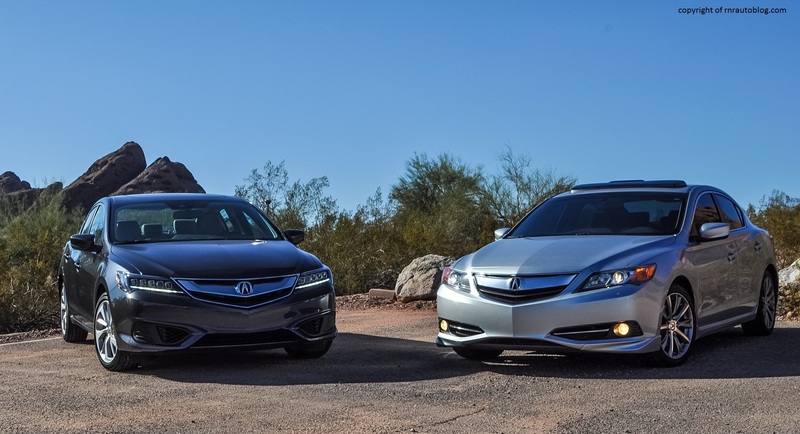 To be honest, while the 2016 ILX does look sharp, it does not exactly exude class or prestige like its rivals the Audi A3 or the BMW 2 Series do nor does it stand out. That is not to say that it is an ugly car. By all means, it is a rather sensibly styled car, inoffensive and pleasing. The so-called beak grille is much more stylish and less extroverted. It blends in nicely with the front of the car, including the headlights. Speaking of the headlights, they are possibly my favorite feature of the car. 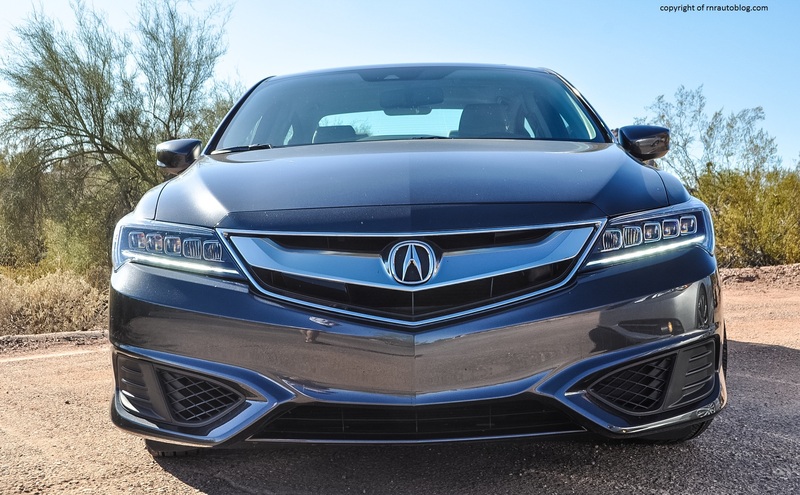 The headlights or as Acura calls them, the “Jewel Eyes” are drop dead gorgeous. The light bulbs (see picture above) literally look like pieces of fine cut jewels. What does put me off is the blatant plastic coverings where the fog lights are supposed to be. I am told that you have to select the A-Spec package (think of it as a sporty appearance package), but at this price, shouldn’t fog lights be standard in the first place? Aside from that, the front does look purposeful and somewhat appealing. My opinion about the side profile remains. While there is an interesting swoopy character line throughout the doors, there is still one glaring flaw when you look at the side. It appears to be stubby with a short rear overhang and a long front. The rear is not as special as the front, but it is inoffensive enough for most people. My gripe with the front’s abundant use of plastic applies to the rear. The interior in typical Acura fashion has that slightly modern yet gimmicky feeling. In other words, it is a nice place to be. While I may not find the Acura to be as sporty or luxurious feeling as Acura touts it, other people may not view it the same way. When I showed my friends pictures of this car, they all thought it was an expensive looking and luxurious car. My friend in particular, she said, “Whoa. That is a really really nice car! It looks really fancy.” And this is a girl who likes only BMWs and Volkswagens. So in conclusion I would say that the ILX achieved its purpose in terms of design inside and out. 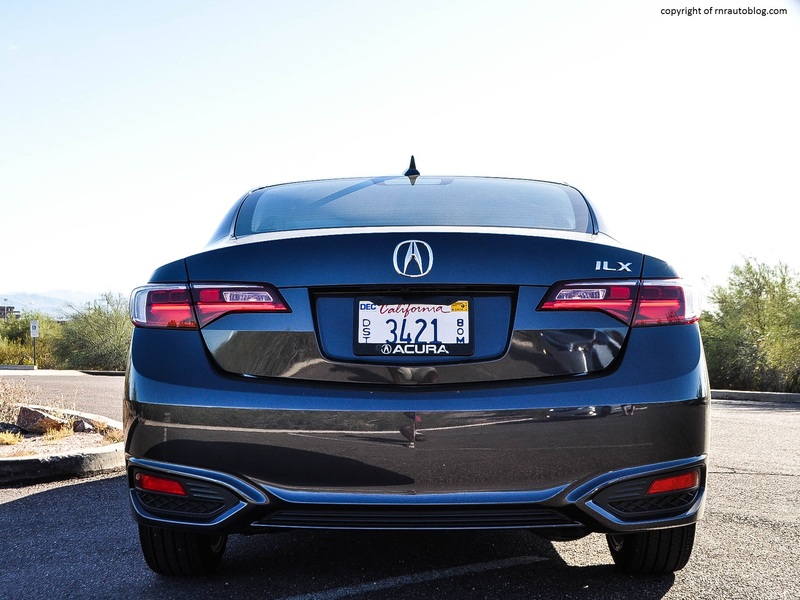 The previous ILX cannot be compared to a sports car, but it was agile and eager in its handling. 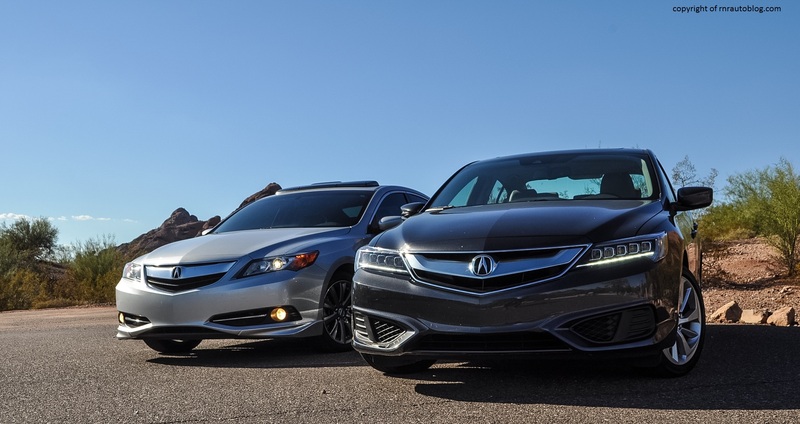 The 2016 ILX is a different animal. It is more buttoned down and less kiddy and more mature. It still corners well, but that little semblance of agility that the previous ILX had has been lost in the refresh. The steering is overly light, and there is not that much feedback, removing you from the driving experience. However, the steering is quick to respond, and its light weight means that parking is a breeze. 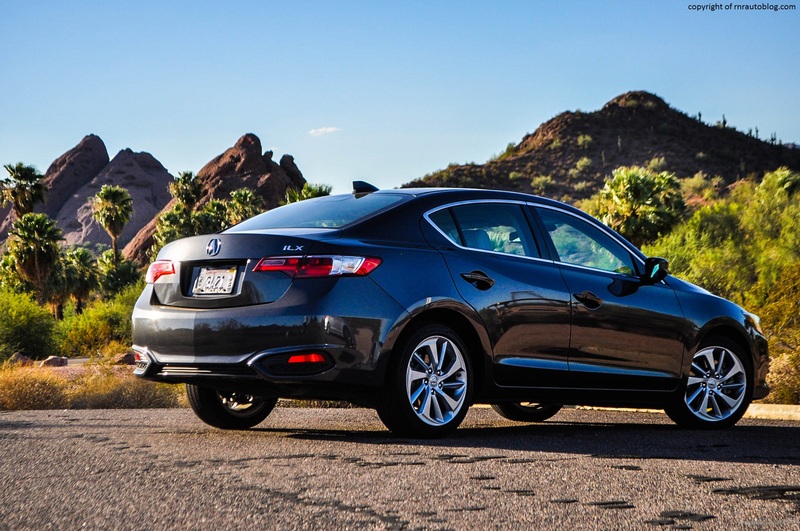 However, there is something about the 2016 ILX. It just feels like as if it is too grownup to indulge in a little bit of fun. Body lean is well contained, but ultimately, the ILX does not encourage you to drive enthusiastically unlike the previous ILX. However, the refresh did give the ILX a much better ride. 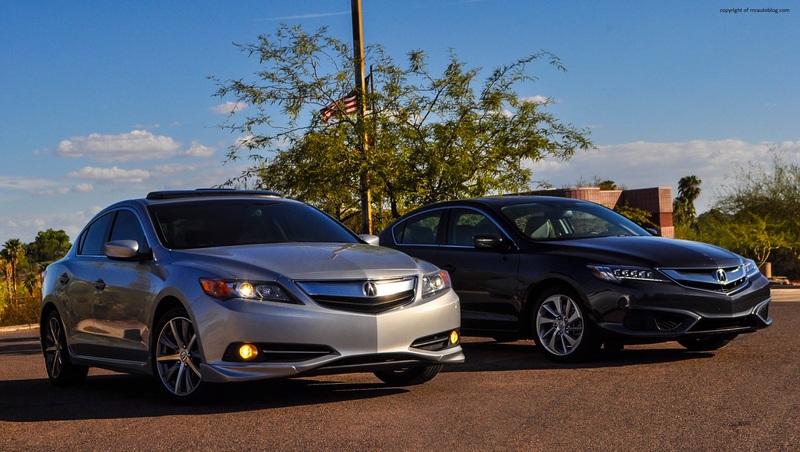 No longer unforgiving and stiff, the ILX now rides tautly and comfortably. Bumps and road imperfections are nicely suppressed, shielding the occupants from all but the worst roads. For 2016, the ILX scrapped its three powertrains for a single powertrain: a 201 horsepower 2.4 liter four cylinder mated to an eight speed dual clutch automatic transmission. 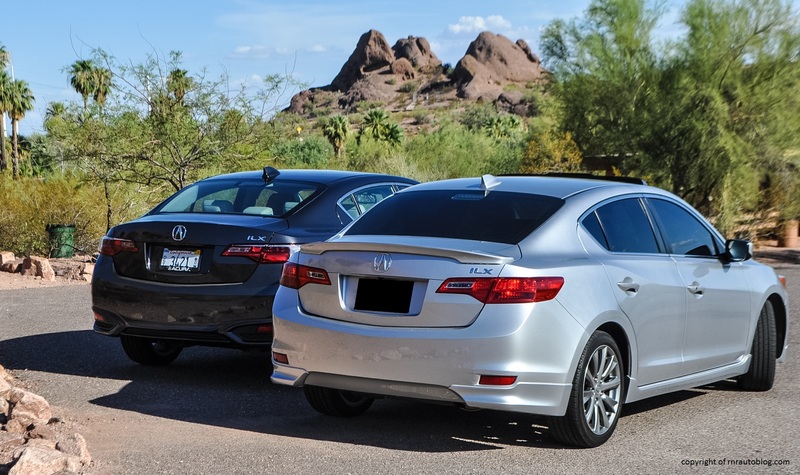 Prior to 2016, the ILX was available with a 150 horsepower 2.0 liter four cylinder mated to a five speed automatic, a 111 horsepower (combined) four cylinder engine mated to a CVT (Hybrid), and a 2.4 liter 201 horsepower four cylinder mated to a six speed manual (the pick of the bunch). The old 2.4 liter, carried over from the Honda Civic Si, is known for its high revving nature, and the new engine feels somewhat diluted compared to the older engine. It performs well, and there is decent pickup, and you never end up wanting for more power. It is competent, and it will meet most people’s needs. However, this engine doesn’t have any excitement to it. Whereas the old engine begged you to strangle the living daylights out of it by flooring it to the redline, the new engine is just very smooth and subtle about it. In other words, it is as if it is a completely different person. In addition, the manual transmission option has disappeared for the 2016 model year. Personally, I feel the slick shifting manual is what gave the ILX its fun to drive character. The eight speed dual clutch automatic transmission is a very fine shifting transmission, although it does hang to gears for too long. But it is no manual. I will say this, the refinement has improved considerably in the 2016. While the 2013 ILX was a cacophony of road noise and engine thrum, the new one is whisper quiet. The new engine produces a lively engine note when under full throttle. Even though the interior feels premium, I can’t help but think I can get the same quality in a fully loaded Honda Civic Touring (which is about the same price as a basic ILX). While there are some nice soft touch surfaces here and there, the ambiance screams Honda and not Acura. It just does not feel premium enough for the money you’re paying. The dual screen interface has sharp and modern graphics, and the controller is a nice touch. However, the dual screen set up makes me yearn for the days when Acuras (and Hondas) relied on intuitive touchscreens with actual buttons. The touchscreen is slow to respond, and the controller is just fiddly. I know people who own Acuras with this system, and even after a year, they tell me they still have trouble operating it. The air conditioning controls work flawlessly. Thank goodness that it is not integrated into the touchscreen interface. The seats are supportive enough, and the cabin is surprisingly roomy for its size. As long as you keep rear seat occupants to two, everybody should be comfortable. Rear seat headroom is lacking, but for the most part, the ILX has enough room to suit most people’s suits. Same goes for the trunk. Befitting of an Acura, there is lots of space for your various belongings. Access to the rear is a bit troublesome due to the low roof and the narrow door opening, but getting in through the front is easy. Finding a driving position is doable, although you have to fiddle around to find the seat adjuster. This car leaves me feeling conflicted in the sense of rationality. I come from a family of rationalists. Remember, these are the same people who question the point of having a high powered car, “What is the point of all that power if you cannot use that power in traffic?”. Rationally, they are right, and I do agree. However, they also see cars as a way to get from point A to point B. Just like 95% of the U.S population. 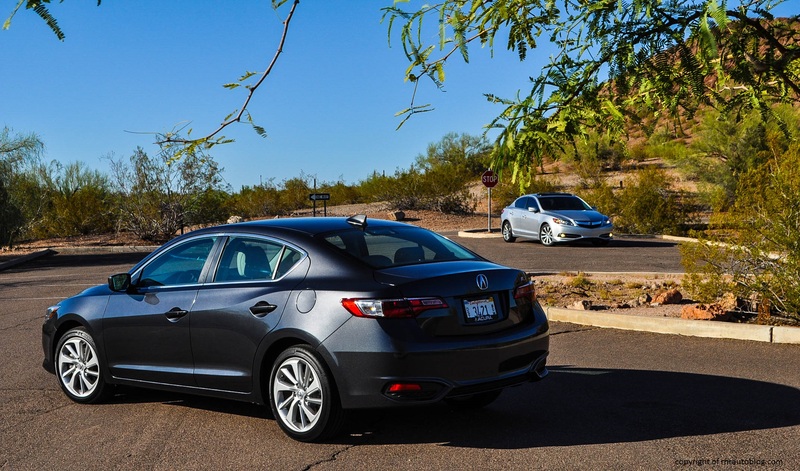 In that context, the Acura ILX is a nicely equipped compact sedan with a smidgen of luxury and decent performance. 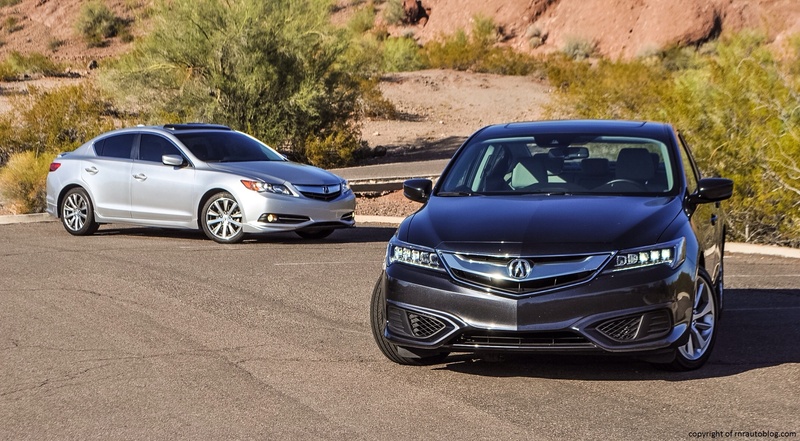 Its fuel efficiency is a bonus, and there’s the traditional Acura reliability. 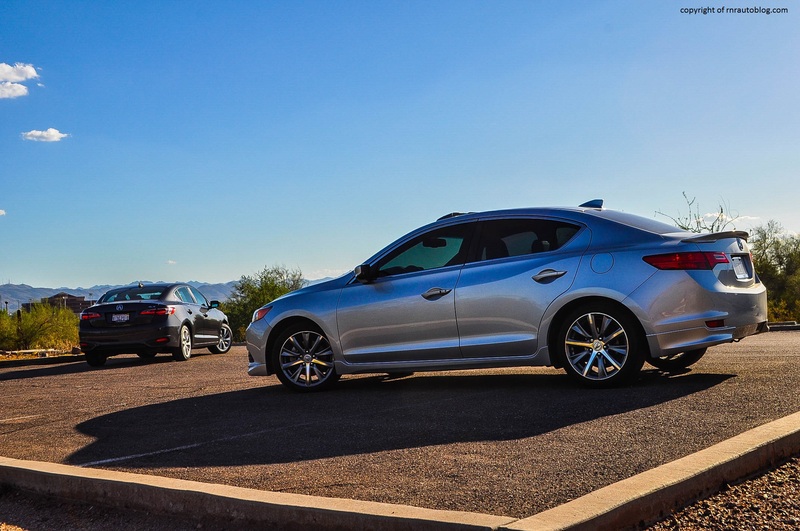 If you can live with spending a premium over a Honda Civic and want more luxury, then the Acura ILX is the way to go. 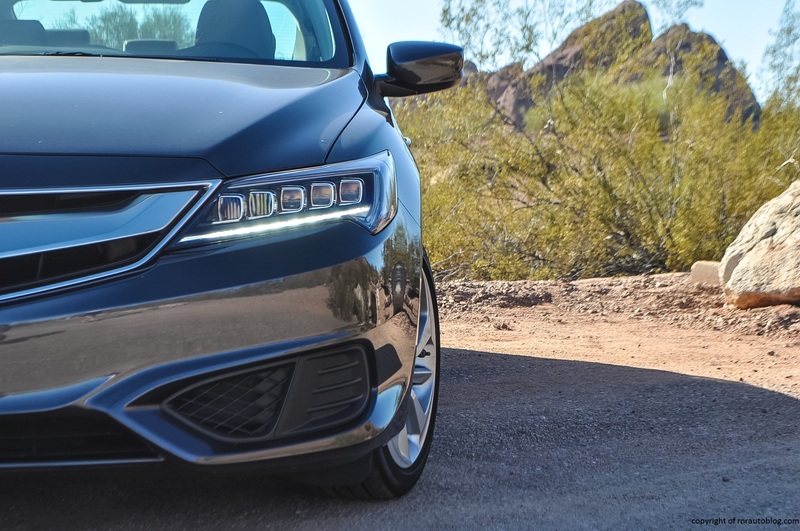 However, speaking as a car enthusiast who remembers Acuras from when they prioritized “Driving Precision” or whatever their slogan was, the ILX comes up short. I really wanted to like this car. I really did. 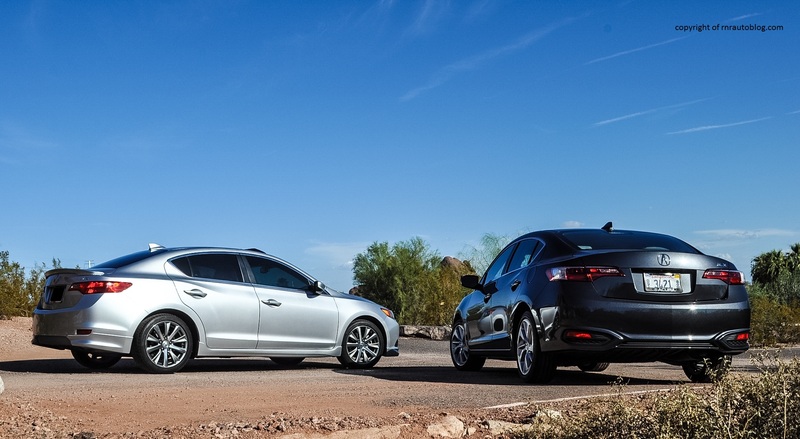 It is as if the Acura ILX tries so hard to prove that it is a luxury car and can play with the big boys, but everybody keeps focusing on its Civic’s underpinnings, and as a result more people are inclined to go for either its rivals or the Civic itself. Like I said, rationally, the ILX is a good car. But as an Acura fanboy, the ILX just feels like every other car. There’s nothing extraordinary about this car. A car as small as this should be a blast to drive, and while the ILX is competent, it just does not gives me that little sparkle. At least with the previous ILX, there was the super slick manual transmission coupled to the fun and lively high-revving engine. 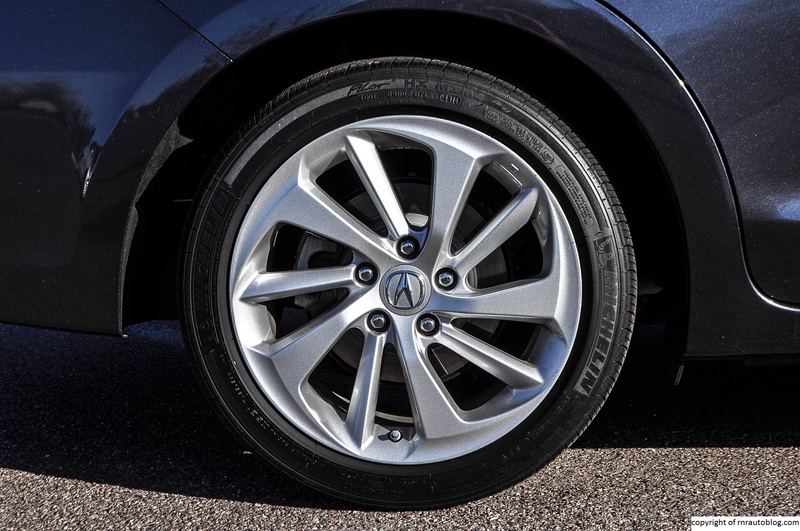 With this ILX, there’s nothing that sticks out. And that is not what an Acura is about. Acuras are the kind of cars that you assume are normal cars, but once you get behind the wheel, that appears to not be the case. Acura is capable of greatness. Just look at the third generation TL, the NSX, the Legend, RSX, Integra, and so on. 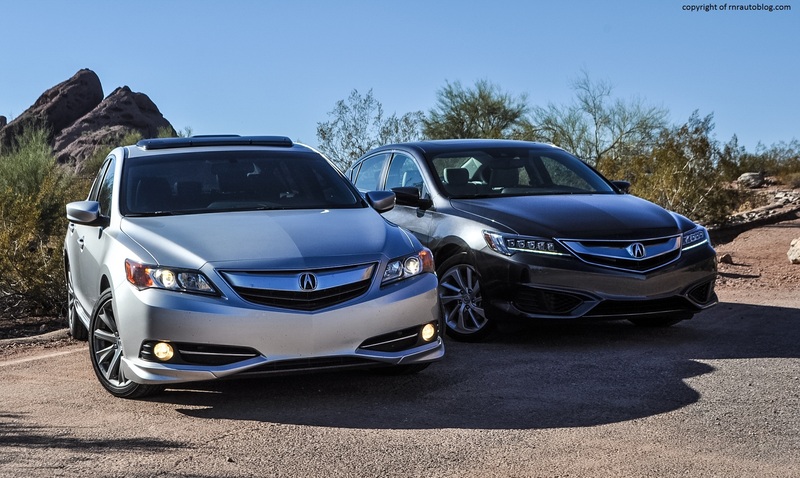 But the ILX isn’t one of Acura’s best quite frankly. Consumers feel the same way as the ILX’s customer satisfaction has been poor with not many ILX owners stating that they would buy the car again. I know in my heart that Acura can do better. Thanks goes out to Tyson for allowing me to review this 2016 ILX and also for letting me include his 2013 ILX in the pictures! BTW his ILX now has over 145k miles! Check out his blog! Great review here and I’m impressed at how the photos turned out! You did a very thorough intro to the ILX past (predecessors) and its present. Now let’s see what the future holds. Precision Crafted Performance – I think that’s the slogan you were looking for ;). Thanks for sharing the blog link!